What are the chances of you winning the Lottery, do you reckon? In the UK Lottery, for instance, the winning numbers are just one possible set of 13,983,816 combinations. 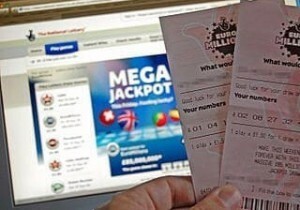 For the EuroMillions Lottery which takes place across 13 countries each Friday, the winning line is just one out of 116,531,800 possible combinations. That means if you lived for just over two million years you’d have one chance of winning if you played every week. Some hope…! Yet people clearly do play in their millions, otherwise there wouldn’t be a “roll-over” jackpot prize fund of £94m available this week. Neither would there be an endless array of websites advising you on “hot and cold numbers” or providing statistics to help you decide what time of day to buy a winning ticket – as well as a host of other dubious “methods” to help you make sure you win. There also wouldn’t be plenty of people around advising you on how to spend your millions once you have them. You may scoff at the people who play a lottery hoping they’ll be millionaires, but the behaviour of the financial hopefuls is akin to everyone’s behaviour in some way. For instance, there are millions of people around the world desperately trying to make money online. They have set up websites and shops, they have established “squeeze pages” with mailing lists and done all the “right things” to make money, but still they are floundering in the financial doldrums. There are also people doing all the “right things” to get a big Twitter following or thousands of “likes” on Facebook – yet they still couldn’t hold a party in a cupboard with their entire group of online friends. Now you might look at these individuals, haplessly trying to get more followers or more people on their email list or more people who visit their web pages and mutter to yourself that they are just being daft; what they need to do is get on with some real work, you might think. The problem is, these people are convinced they are NOT being silly. Indeed they can PROVE IT to you because they have evidence that they are doing the right things to make millions online, or to gain more Twitter followers or to get more web traffic. Here’s what happens – people with an issue that needs resolving, such as getting more website visitors, will search for information on that very topic on Google. There are plenty of options to choose from and loads of advice. Loads and loads of advice. In fact, it is all too confusing. Just like choosing the winning lottery numbers, deciding on which websites offer the right advice to help you improve your web traffic is a tough choice. So, we then make what we think are “rational” decisions. When it comes to lottery numbers, we know that the chances of winning are small, so we rationalise our numbers by choosing our “lucky numbers” or our birthday and so on. And when it comes to making decisions about what information to choose from the 123 million sites that Google gives us for “how to increase web traffic”, we do the same as for the lottery – we pretend to ourselves we are being rational, when the only real rational thing to do is to analyse the content of all those 123 million web pages. New research on the rationalisation of choices shows that when people are faced with too many options they search for more information. And when they do that, the nature of probability shows that they will then see more instances of rare things. So, when you don’t know how to get more Twitter followers, you search for yet more information and then you see more instances of the rather wacky ways of improving things. And because you see more instances of these rare things it “proves” that it is possible. Similarly, when you want to make millions online you search for more information on it and lo-and-behold you can find several examples of people who have made a million dollars in a morning with a single-page website and that involved no real work…! And that “proves” it can be done. Yes, it can be done, but the probability is low – probably lower than winning the Lottery. But our brains get fooled. Because we see several examples of quick ways of gaining Facebook likes, or rapid results for Twitter or mad methods of making millions, we think they are commonplace when they are not. As the recent research shows, the increase in choice and our desire to search for more information on those choices leads to riskier behaviour on our part. In other words, if you don’t know how to get more web traffic starting to find out about that via Google or any other search engine, could lead you in the wrong direction. The more information we seek, the poorer our decision-making because we find what seems to be a higher proportion of “proof” for things. But because we are poor at analysing probability we don’t realise that large numbers of examples does not mean high probability we can achieve the same. In other words, searching for answers to your business problems on Google might be bad for your business because it could increase your risky behaviour by exposing you to examples of things which may work – but much less frequently than you might think they do.